My oldest son and I spent the better part of last night covering some good ole marshmallow peeps in chocolate (and sprinkles of course). 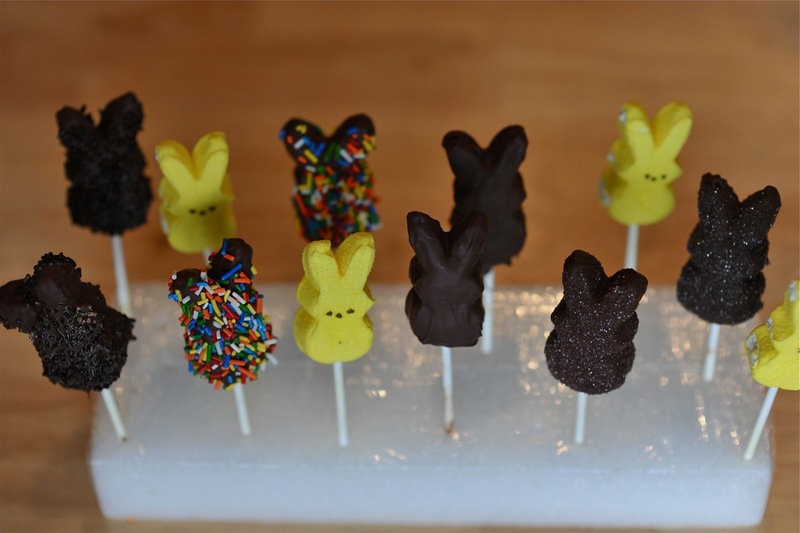 All I did was melt some chocolate chips in our double boiler, dip the end of a stick in the chocolate, and then insert it into the peep. 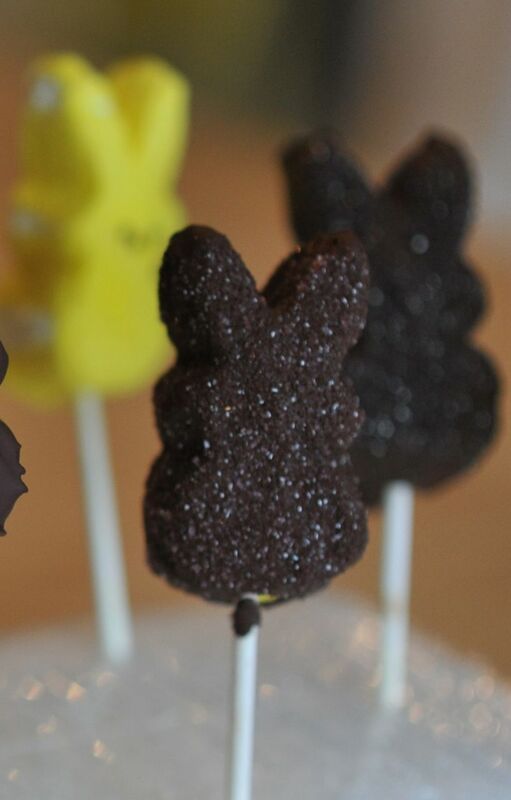 We then dipped, drizzled, and spun our little bunnies until they were covered. I then stuck them in a block of styrofoam so they could set up. We did have a couple “casualties” in the process…. I think we just over dipped and they ended up falling right off the stick. Once the bunnies were covered we added sprinkles etc.. We let them dry over night and enjoyed the taste of “semi homemade” chocolate covered marshmallows this afternoon! I think these would be very cute with white chocolate and sprinkles (or nuts), as well… You could stick them in an easter basket or even make a cute centerpiece out of them! I’m sure you will come up with something creative!